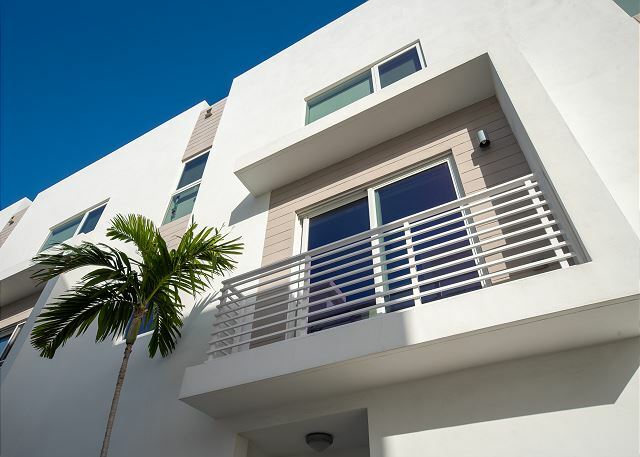 Breeze - Modern Townhome. Across to Beach, Shops, Cafes, Nightlife. 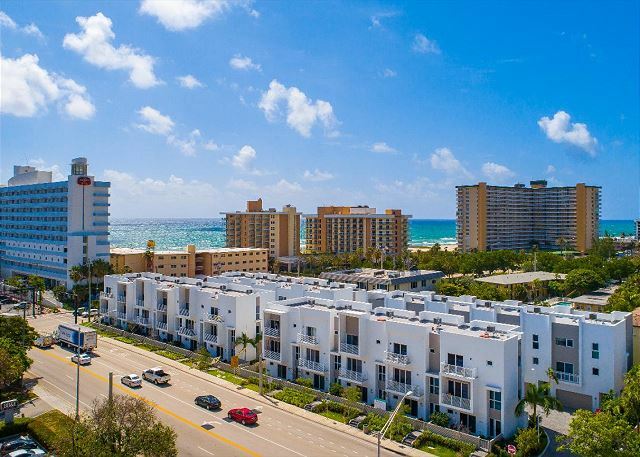 Perfect Pompano Beach location across from the beach, oceanfront restaurant and Tiki bar. 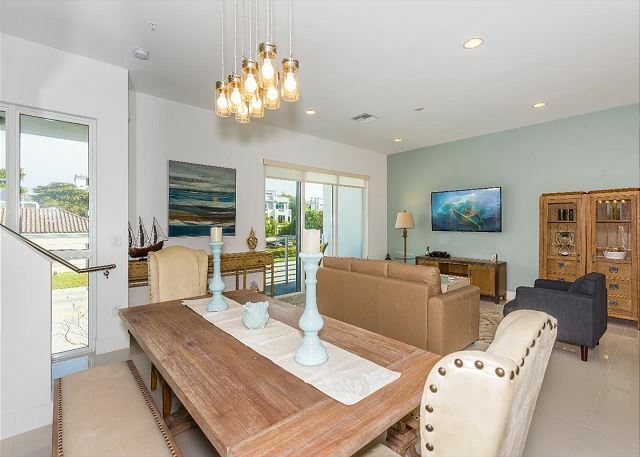 The open-concept floor plan makes conversation easy when entertaining. The 60” wall-mounted flat screen TV in the living room is perfect for family movie nights. 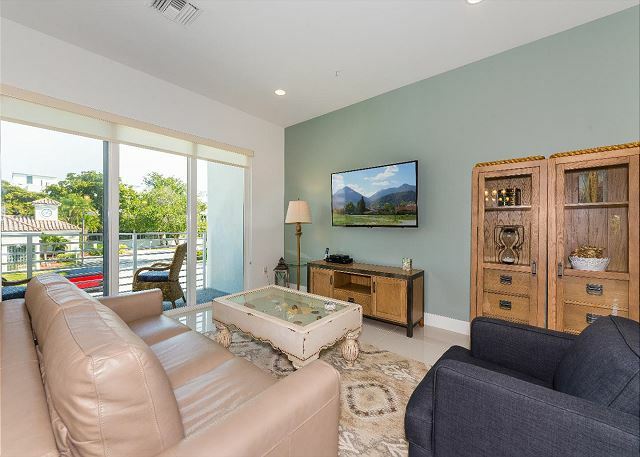 Relax on the couch or club chair in the tranquil living area overlooking the balcony. Elegant dining table and bench seats six comfortably when enjoying casual or formal dining. 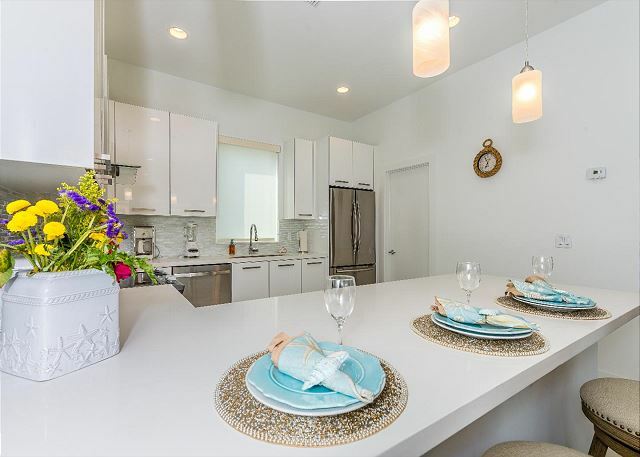 The well-equipped gourmet kitchen comes complete with stainless steel appliances. 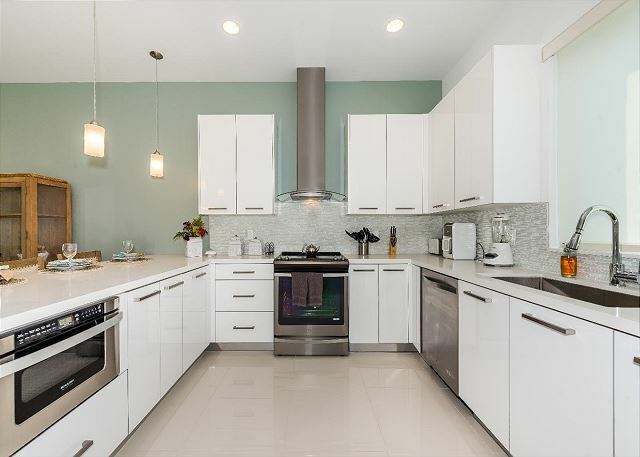 White solid marble counters adorn the sleek modern kitchen cabinets. Eat-in breakfast countertop with three bar stools is convenient when eating on the run. 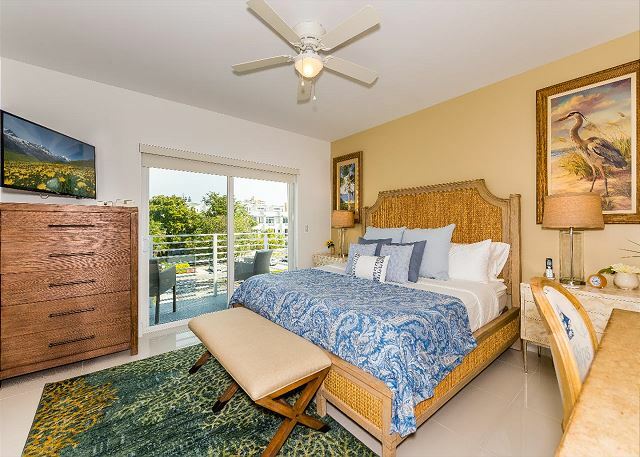 The master bedroom with a king-size bed has sliding glass doors leading to a private balcony. A 32” flat screen TV in the master bedroom is ideal when watching late night shows. His and Her vanities with plenty of counter and storage space are convenient for couples . 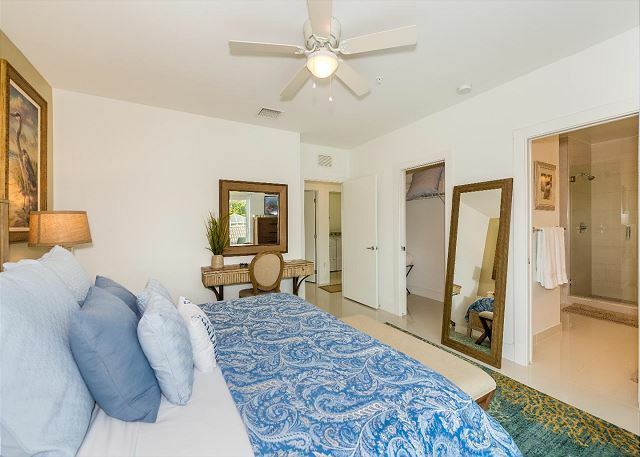 En-suite master bathroom has a huge walk-in glass enclosed shower and separate bath tub. 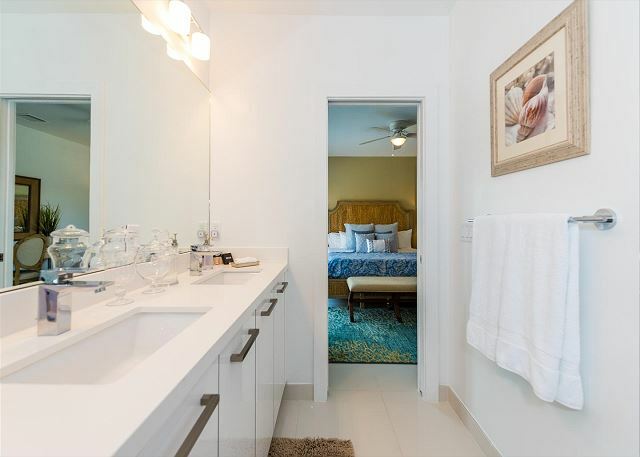 En suite master bathroom with dual sink vanities and large mirror is perfect for pampering before bedtime. The second bedroom with huge dresser, 22” flat screen TV, and doors out to the front private patio. En-suite second bathroom with Italian tiled walk-in shower is elegantly designed. Third guest bedroom with two twin-size beds and 22” flat screen TV can accommodate children or adults. 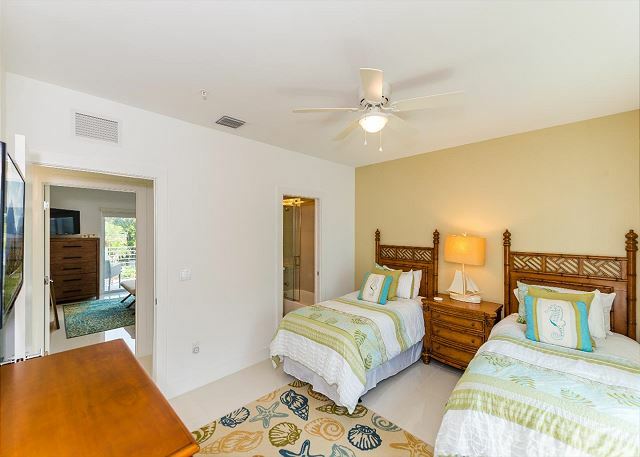 Kids of all ages love the 3rd guest bedroom with walk-in closet and plenty of room to lounge around. En suite third bathroom with tub/shower combo is perfect for soothing baths. 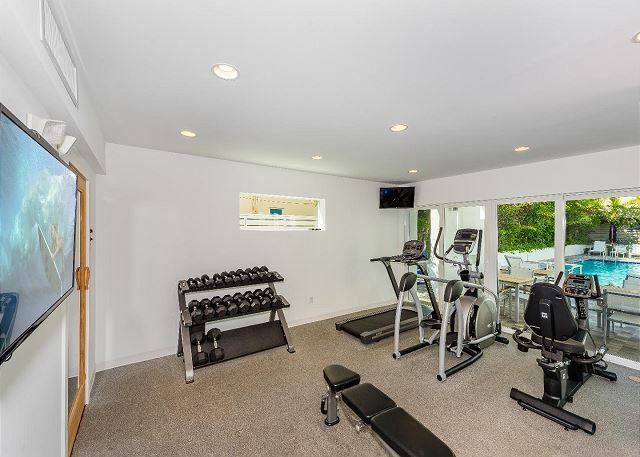 Get a work out in the gym that offers state-of-the-art fitness equipment. 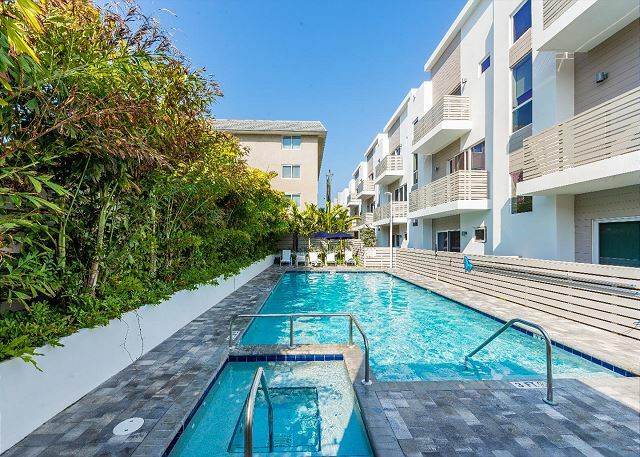 Enjoy the heated pool after spending a day sunning at the beach across the street. 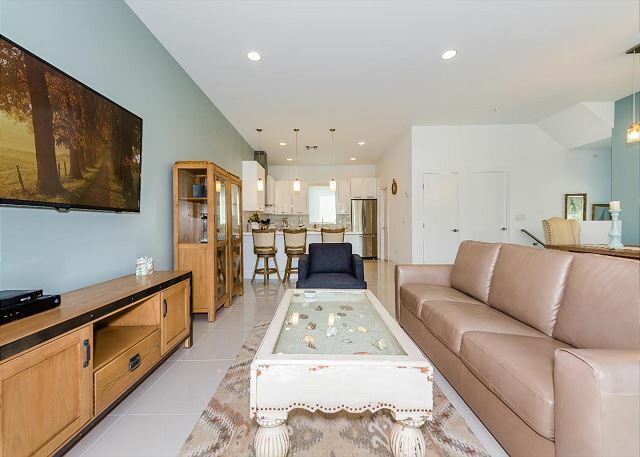 Modern Tri-Level Townhome across the street from the beach. 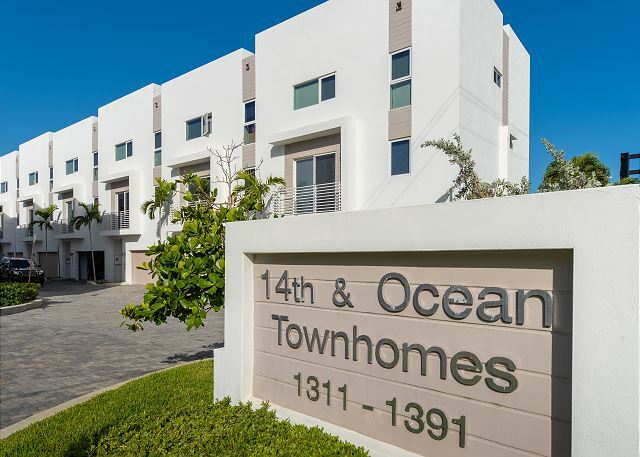 Pompano Beach is directly across the street from your tri-level townhome. 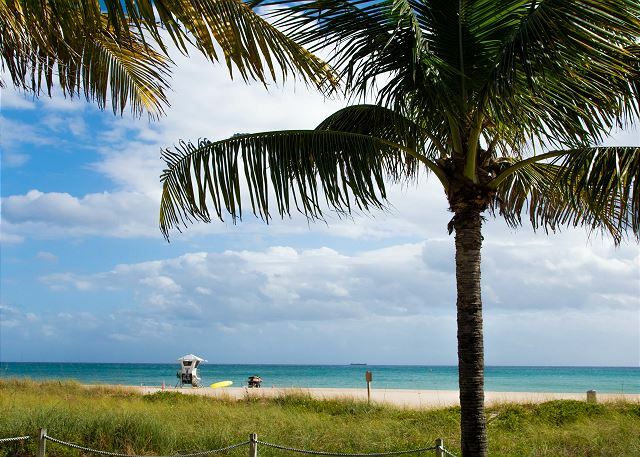 Sit and relax under a shady palm tree along the beach. Catch a wave along the ocean shore. 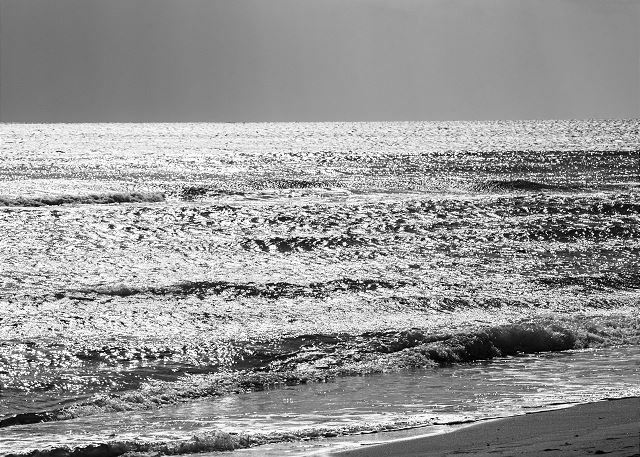 Take a stroll along the ocean shore on a beautiful sunny day. Watch the sunrise over the ocean waters. Enjoy a fruity tropical drink at the Tiki Bar directly across the street along the ocean. 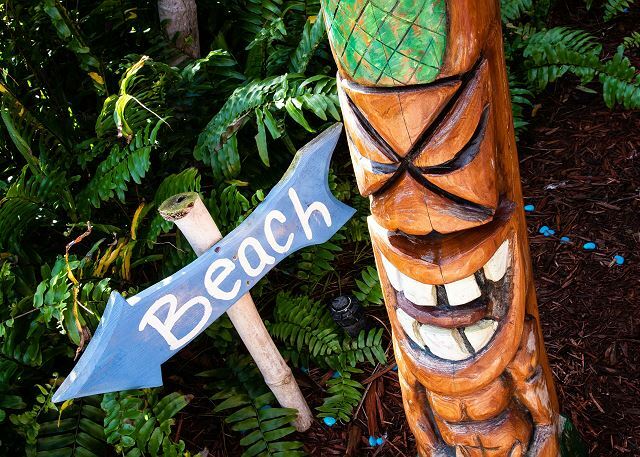 The Tiki Bar is lushly landscaped with the pool and ocean just steps away. Soak in the hot tub and pool after a full day of fun, sun, boating and water sports . 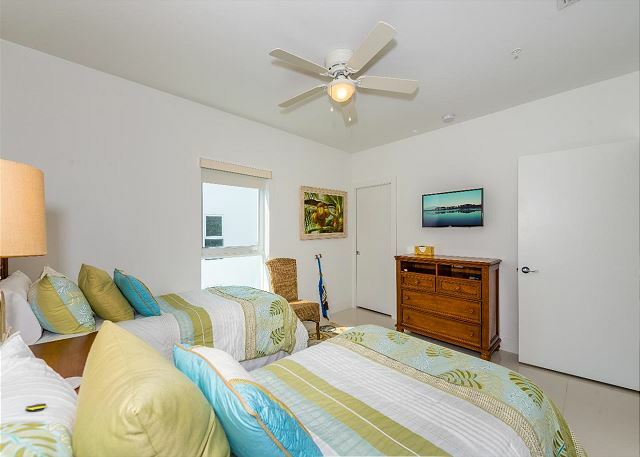 Professionally decorated with all new furniture and bedding, the townhome’s floor plan allows for optimal privacy and space for each guest. Up the first set of stairs is the main living area, where gleaming white porcelain floors adorn the open and airy space. Opt for a quiet night in, lounging on the living room couch or club chair; enjoy a movie night on the 60” flat screen TV. The couch also doubles as a sleeper sofa for 2. 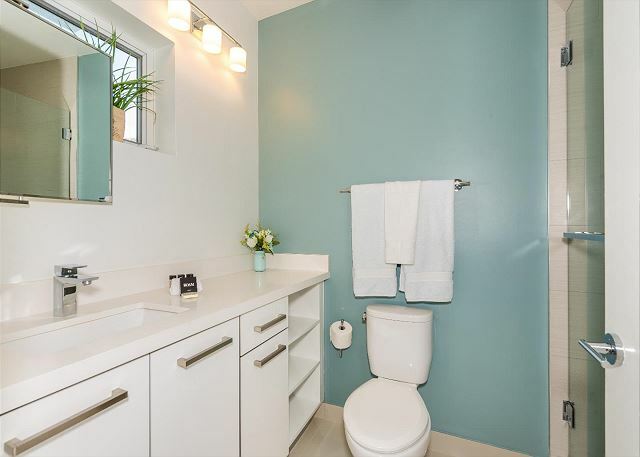 A powder room is conveniently located right off the living area. In the dining area, a white dining table seats 6 comfortably on two benches and two end chairs ideal for casual or gourmet meals. 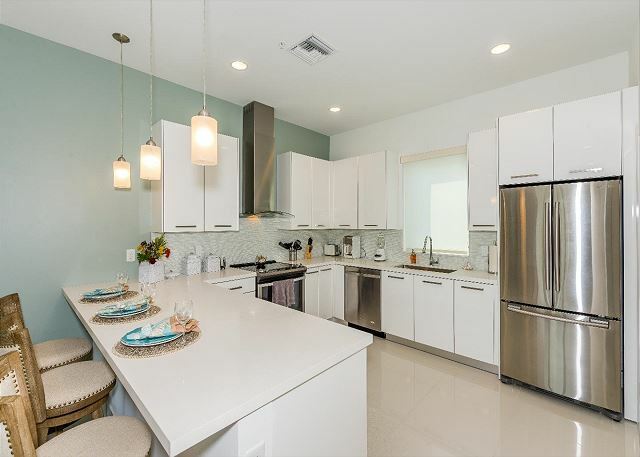 Perfect for large gatherings, the kitchen comes complete with stainless steel appliances, gorgeous white marble counters, and a breakfast bar with 3 bar stools. 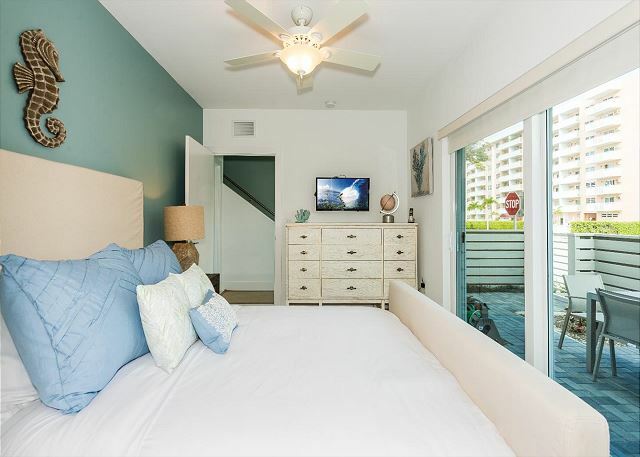 Decorated with neutral beiges and blues, the master bedroom delights with a king bed, 32” flat screen TV, walk-in closet, and private balcony. Pamper yourself in the en-suite master bathroom, with dual vanity, huge walk-in shower with mosaic tile floor, and separate bath tub. Off the foyer sits a bedroom where you can rest soundly in a plush queen bed. It also has a huge dresser, 22” flat screen TV, and doors out to the front patio. Decorated in tones of white and gray, the en-suite bathroom has a tiled walk-in shower and vanity with extra counter space. On the top floor, a side-by-side washer and dryer are tucked away in a closet for your convenience. Let the kids crash into a bedroom with 2 twin beds, 22” flat screen TV, and walk-in closet. Find gorgeous marble in the en-suite bathroom with a tub/shower combination. Outside the front door is a patio with a 4-person table for picnics. 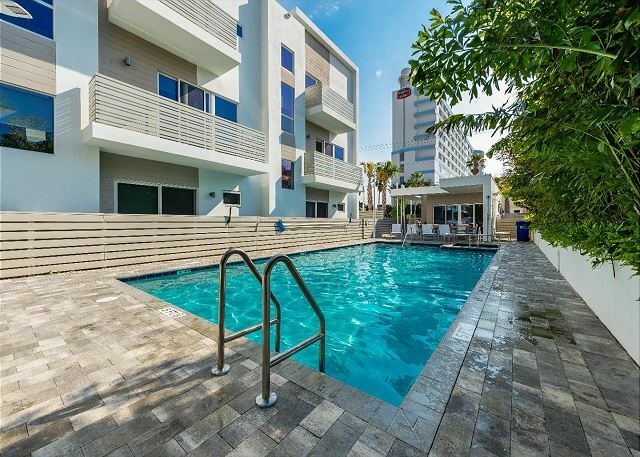 Spend a relaxed day around the beautiful pool, or get active on the cardio and weightlifting equipment in the state-of-the-art fitness center. 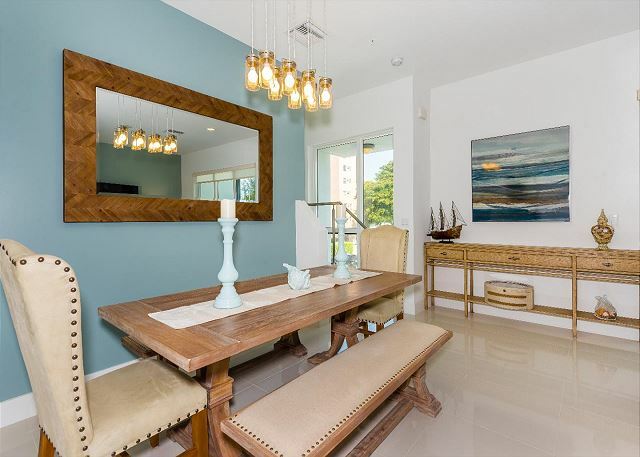 This vacation rental is an ultra-modern,high-end tri-level townhouse that will make your vacation first-class. The community pool and hot tub are refreshing. 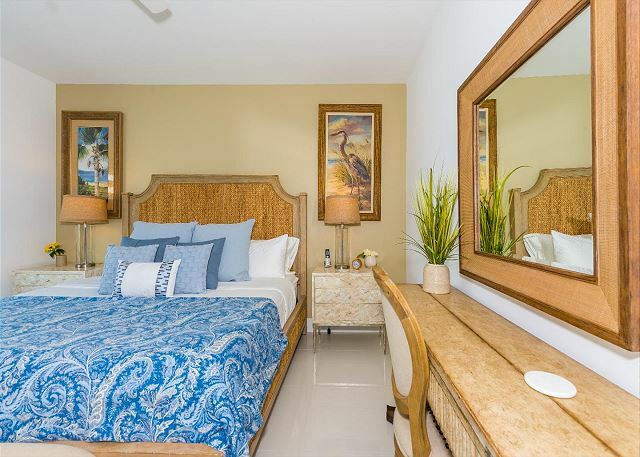 Shopping and dining al-fresco are within walking distance.When you’re ready for sand and surf, walk across the street to the beach and the waves of the Atlantic Ocean. 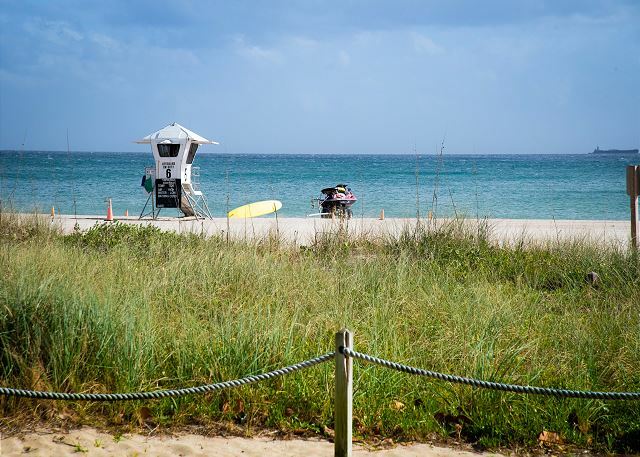 Deerfield Beach (13 minutes) and Ft. Lauderdale Beach (20 minutes) are also popular stretches of sand for swimming and water sports. 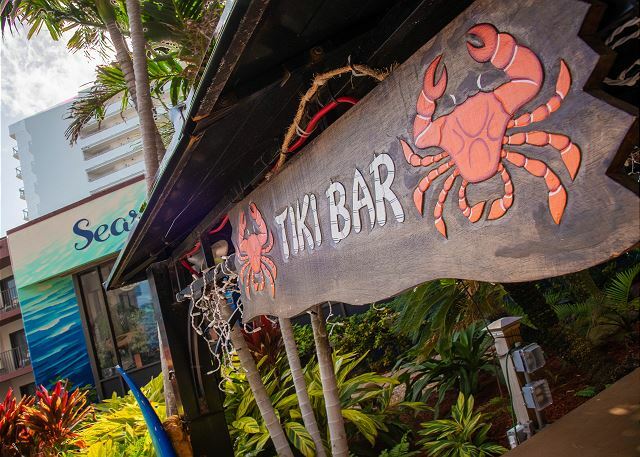 Give the cook the night off and head across the street to the Seaside Grill or walk to one of the nearby oceanfront restaurants with a Tiki Hut restaurant and bar. Several stores and shops are also within walking distance, including Bugeja Mary (4 minutes on foot) and Betty’s Boutique (5 minutes on foot). 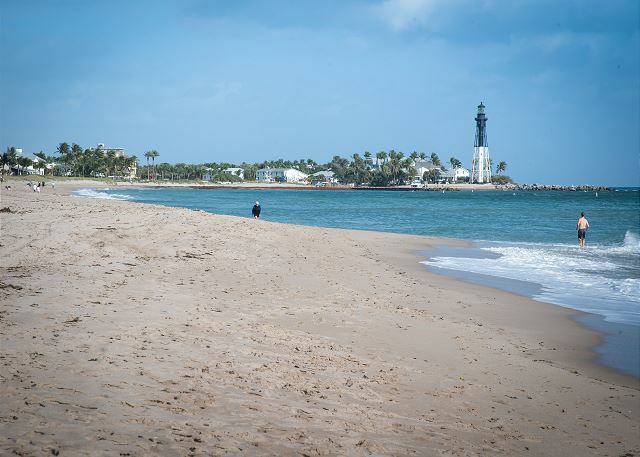 Pompano Beach is home to several marinas for fishing, boating, and snorkeling excursions. 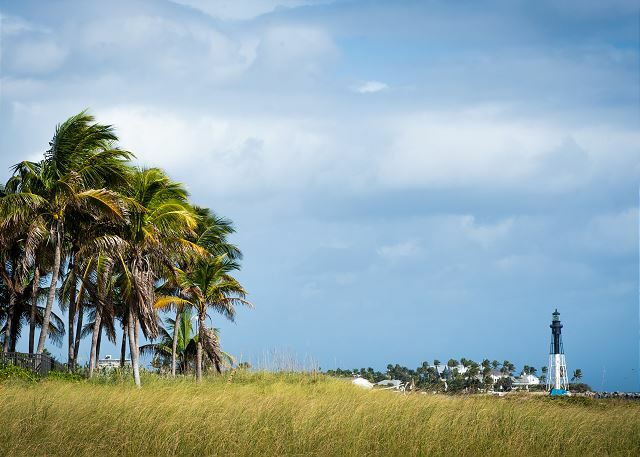 The Pompano Beach Golf Course, where you can spend the day working on your swing, is only 5 minutes away. Great time was had by all. Everything was excellent. First time I rented, won't be the last.